The future will not be a monopoly of the current superpowers, but lies in the hands of tech-savvy youth from around the world, trying desperately to survive at all costs in an increasingly asymmetrical world. Imagine a young African boy staring wide-eyed at the grainy images of an old television set tuned to a VHF channel; a child discovering for the first time the sights and sounds of a wonderfully weird world beyond city limits. This is one of my earliest memories; growing up during the mid-nineties in a tranquil compound house in Maamobi; an enclave of the Nima suburb, one of the most notorious slums in Accra. Besides the government-run Ghana Broadcasting Corporation, only two other television stations operated in the country at the time, and satellite television was way beyond my family’s means. Nevertheless, all kinds of interesting programming from around the world occasionally found its way onto those public broadcasts. This was how I first met science fiction; not from the tomes of great authors, but from distilled approximations of their grand visions. This was at a time when cyberpunk was arguably at its peak, and concepts like robotics, virtual reality, and artificial intelligence were rife in mainstream media. Not only were these programs incredibly fun to watch, the ideas that they propagated left a lasting impression on my young mind for years to come. This early exposure to high technology sent me scavenging through piles of discarded mechanical parts in our backyard; searching for the most intriguing sculptures of steel from which I would dream up schematics for contraptions that would change the world as we knew it. With the television set for inspiration and the junkyard for experimentation, I spent my early childhood immersed in a discordant reality where dreams caked with rust and choked with weeds came alive in a not-so-distant future; my young mind well aware of the process of transformation occurring in the world around me; a world I was only just beginning to understand. I am only now able to appreciate the significance of this early exposure to high technology in shaping my outlook on the world. From my infancy I became keenly aware of the potential for science and technology to radically transform my environment, and I knew instinctively that society was destined to continue being reshaped and restructured for the rest of my life. Mind you, I am only one of many millions in a generation of African children born during the rise of the global media nation; children raised on Nigerian movies and kung-fu flicks; Hindi musicals and gangster rap; Transformers, Spider Man, and Ananse stories; BBC, RFI, and Deutsche-Welle TV; the Nintendo/Playstation generation. Those of us born in this time would grow up to accept the fact that the only constant was change; that the world around us was perceptibly advancing at an alarming pace; that nothing would ever remain the same. Just as my limited exposure to advanced technology shaped my outlook on the world for years to come, the youth of the developing world today are being shaped by far more radical technologies to which they now have unprecedented access. The result is the rise of a completely different mindset from the ones that has dominated the developing world until very recently; a growing recognition among these youth of the immense potential for science and technology to induce tangible social change. The role of social networking in facilitating the Bouazizi and Tahrir Square revolutions is perhaps one of greatest testaments to that fact, but it is not the first, and far from the last. What happens when third world youth gain increasing access to technologies that were practically unimaginable just a few years earlier? What happens if this trend continues, say, fifty years into the future? And whose job is it to answer these questions? Science fiction writers, of course. This train of thought leads to realization that the boundaries of contemporary science fiction lie not in the Wild Western frontiers of outer space, but in the forgotten corners of our planet. 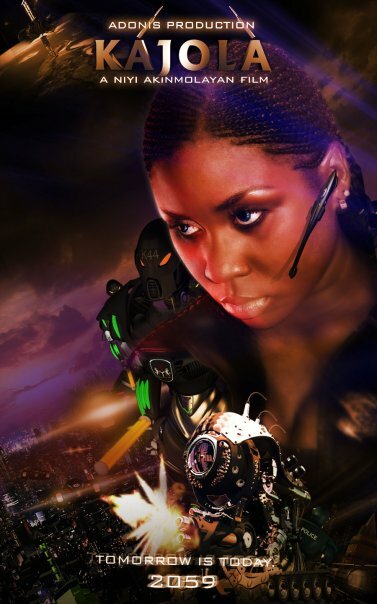 I created the AfroCyberPunk blog in order to share some of these insights and questions with the world. The overwhelming response it generated was the first indication that the literary world was beginning to take an interest, but there are more signs that we are at the beginning of a global awakening to the role of the developing world in the future of science fiction. My own novel-in-progress began as a cyberpunk thriller set in a future North America, simply because whenever I tried to imagine an African future I found myself having to deal with issues I wished someone else had already dealt with; having to answer questions I wished someone else already had. I realized that I had no groundwork; no foundation whatsoever, and that to imagine a future Africa I would have to begin from scratch. From the first time Western civilizations came into full contact with the developing world until today, we have primarily been net consumers of foreign technology, and the result of this asymmetrical relationship is that the mechanisms for development and regulation of technology simply do not exist in our parts of the world to the same level of sophistication as they do in the developed world. We are now observing what happens when developing societies acquire thousands of years of technological innovation within the space of a few years. I can only imagine what goes through the mind of young boys in Nima today as they surf Facebook across 3G networks on smart phones, Skype with friends all over the world, or go shopping online with someone else’s credit card. We clearly are sailing headfirst into uncharted waters, and the mapmakersâ€”science fiction writers of the worldâ€”are only now scrambling to plot the course of our future. Since I began writing my novel more than two years ago, the story has undergone a transformation which parallels the same trend that I see beginning in science fiction; a bold move out of largely familiar territory towards the developing worlds on the frontiers of the contemporary imagination. This article from The Independent sums up my sentiments quite succinctly, citing Nnedi Okorafor, Ian MacDonald, Lauren Beukes, Paolo Bacigalupi, and Alastair Reynolds as writers whose award-winning works herald a changing trend in the settings of contemporary science fiction novels, while District 9 and Kajola represent noteworthy attempts by African movie-makers to break into the science fiction genre. Through the course of this decade, we can expect to witness the emergence of a new brand of science fiction; one which makes the developing world central â€” rather than peripheral â€” to its narrative. It’s becoming increasingly apparent that the future will not be a monopoly of the current superpowers, but lies in the hands of tech-savvy youth from around the world, trying desperately to survive at all costs in an increasingly asymmetrical world. Youths from Asia, the Middle East, Latin America, and Sub-Saharan Africa represent the single largest subgroup of the human population, and with the aid of advanced technology they will go on to shape the geopolitical destiny of our civilization. Science fiction has a lot of catching up to do in order to chronicle this new frontier in which the developing world plays a defining role; a frontier that has been neglected by mainstream science fiction for just about long enough. I’m proud to count myself among the new wave of writers exploring the immense potential of developing world science fiction, and I now look to the future with a renewed sense of anticipation, because the future I’ve waited for all my life is finally coming home.